Andrew Keen, a leading critic of the dangers that the Internet poses to our culture and society, writes about the ways in which we can preserve our humanity in a digital world. The title is a bit off. Forget the future. The book is a courageous attempt to offer some constructive solutions to a world already filled with monoliths that make the Microsoft of the 1990s, whose hegemony we once feared so much that the government saw fit to break it into pieces, look like a humble Etsy vendor ... So rosy is Keen’s tone in parts that I was put in mind of a wide-eyed, if craggy-faced, 21st-century Dorothy, picking up valuable lessons on her way to Oz ... Still, I came away from Keen’s world travels grateful to him for enduring all those endless flights to far-flung places so we wouldn’t have to. Into this maelstrom steps Andrew Keen, a tech commentator who never drank the Silicon Valley Kool-Aid. In three earlier books he provided an ongoing, scathing critique of tech evangelism. 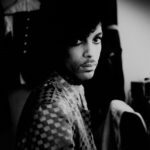 His scepticism now looks prescient: he understood the significance of what was happening earlier than most. With his new book, Keen switches from sarcasm to a kind of pragmatic optimism. Our digital future can be shaped in more humane directions, he argues. But for that to happen we need to be realistic about the scale of the challenge, to learn from history and accept that there are no magic bullets or technological fixes. Like Churchill, he offers mostly blood, sweat and tears; but at least he has a programme of what needs to be done. ... None of these ideas is new, though many of them are regarded as unthinkable. But the history of society’s responses to the abuses of earlier industrial eras suggests that appropriate remedies have always been regarded as unthinkable – until reforms were implemented. It’s not all that long ago, after all, that we used to send small boys up chimneys, or that arsenic was available from street-corner apothecaries. Which is why it makes sense, as Keen seeks to do, to take the long view of our current dilemmas. Unlike some recent anti-tech jeremiads, the author portrays our current Internet dystopia in a larger context of human history ... While the book is stuffed with helpful big picture observations, it doesn’t offer much in the way of specific on-the-ground ideas—though Keen does call for reforms to data privacy and gig economy labor laws, and for a serious discussion of a universal basic income ... These small shortcomings, though, don’t detract from Keen’s overall effort. 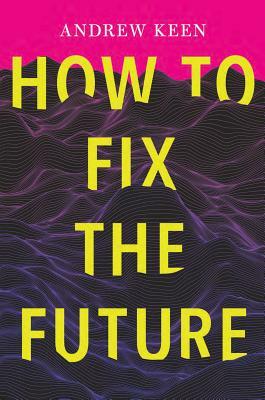 How to Fix the Future is a truly important book and the most significant work so far in an emerging body of literature in which technology’s smartest thinkers are raising alarm bells about the state of the Internet, and laying groundwork for how to fix it. What did you think of How to Fix the Future?